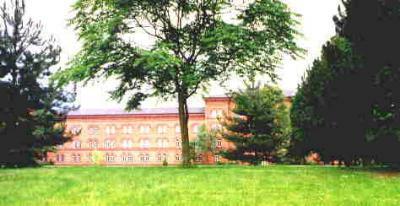 and the middle was the Mess Hall. These first three photos were taken in July 1996, by Mike Atwell. 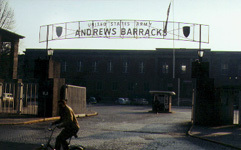 Front gate of Andrews Barracks, 1968. 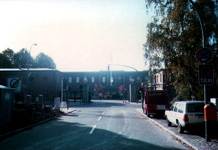 Same gate in 1990s without the sign. 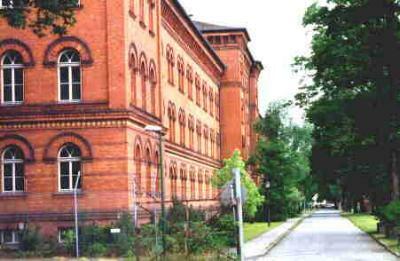 The German word for barracks is Kaserne. There is an English version of that, too. 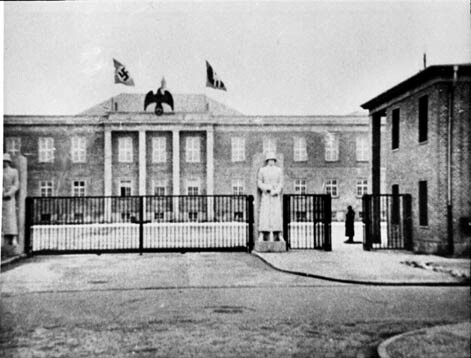 It's caserne. Bill Gunter took a picture of a picture that another FSB guy had. He thinks it was copied from a book. Can you recognize it?